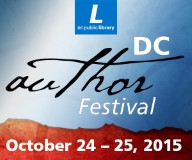 I am excited to be one of the authors chosen to be a part of this year’s DC library author’s festival! I will be selling my latest chapbook, Syncopated Hearts this Saturday October 24th at the Martin Luther King, Jr. Library in Northwest DC from 9-5pm. Come out and support local authors as we share our creative works!